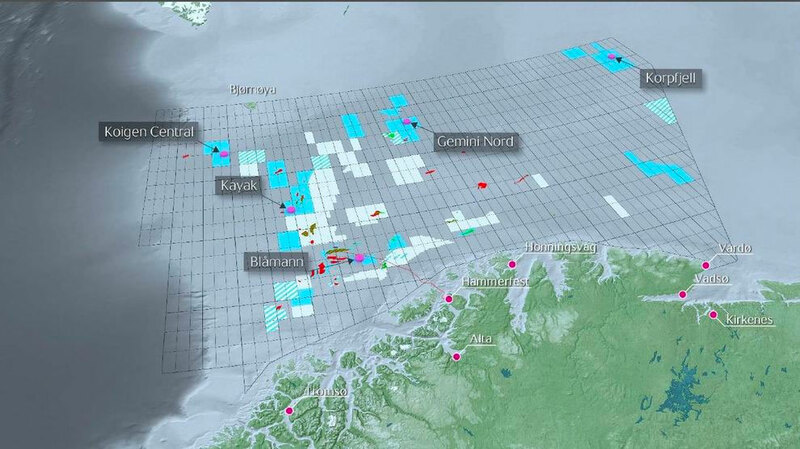 Statoil’s 5th well in the Barents Sea this year is another disappointment. The year 2017 was to mark the Norwegian oil major’s breakthrough in the Barents Sea. New acreage was to be opened and the secret code to the region’s presumed huge Arctic reserves unlocked. Statoil’s fifth and last well drilling in the region this year is another downturn. The Koigen Central well did not hold any oil nor gas. It has now been plugged and abandoned, the Norwegian Petroleum Directorate informs. The Koigen Central was the first well in drilling license 713, an area located about 100 km north or the Johan Castberg discovery. The well was drilled to a vertical depth of 1,468 metres below the sea surface. Water depth at the site is 460 metres. It was semisubmersible rig «Songa Enabler» which did the operation. «This was not the result we had hoped for», says Statoil press spokesman Morten Eek to E24. The negative results will not affect the company’s plans for the region, Statoil says. According to Morten Eek, there will be a similar high focus on the Barents Sea in 2018. Statoil started this drilling season at Kayak, a well which proved up to 50 million barrels of reserves. «Getting off to a good start in the Barents Sea», the Norwegian oil company wrote following the discovery. Later, the company found only modest resources in the wells Blåmann, Korpfjell and Gemini Nord. Expectations were the highest to the Korpfjell well, the first ever drilled in the southeastern part of the Norwegian Barents Sea. It was the northernmost wildcat well drilled on the Norwegian shelf, and also the easternmost. It was located about 35 km from the border between Norway and Russia.